Access the Consumers’ Checkbook’s online guide to Health Plans for Federal Employees and Annuitants. This guide is an innovative way to obtain reliable, useful information about the many health plans available under the FEHB and make fast, easy, personalized plan comparisons. NTEU members use this guide to compare and rank plans based on total costs including account premiums and estimated out-of-pocket costs (e.g., deductibles, co-payments, and prescription drugs); and on the yearly maximum that an enrollee could possibly have to pay out-of-pocket. The guide will also offer comparisons of the FEDVIP dental and vision plans available to federal employees. Members can compare plan costs, review quality ratings, consider plan features, and gauge plan flexibility on issues like choice of doctors and other factors. This link will remain available throughout 2018 for NTEU members who are new hires or are current enrollees with a qualifying life event change. NTEU members are eligible for a discouted subscription to Consumers' CHECKBOOK magazine. Consumers' CHECKBOOK is a non-profit that rates local service providers for quality and price in seven local markets. Find out the best auto repair shops, plumbers, veterinarians, dentists, carpet cleaners, roofers, and much more. NTEU offers many extra benefits, only available to its members, that take advantage of low group rates, such as auto, professional liability, long-term care, and other forms of insurance, and discounts on consumer goods, moving expenses and much more! In addition, all NTEU members in good standing are automatically covered by a free $1,000 accidental death and dismemberment insurance policy. For more information about NTEU benefits, visit the Chapter 247 office. 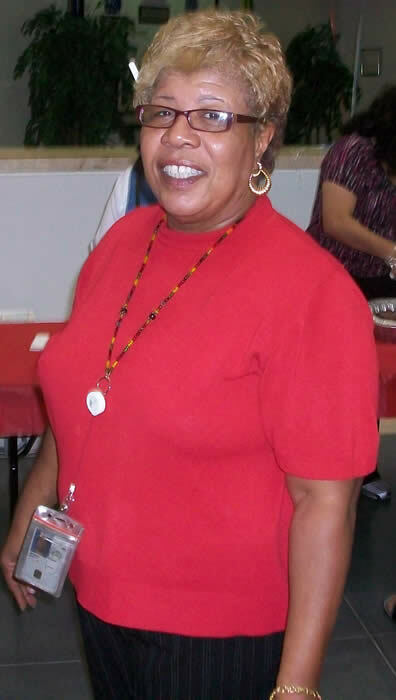 Mae Brown is our local Benefits Coordinator.